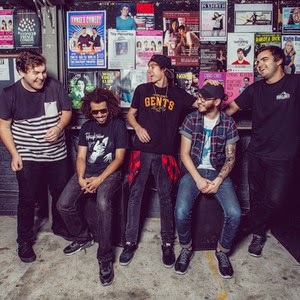 Up and coming pop-punk band State Champs have announced that they will release their new album Around the World and Back on October 16th via Pure Noise Records. The Albany, NY pop punk band has had a busy 2015, first supporting All Time Low on their US tour and most recently touring Australia supporting 5 Seconds of Summer. They will embark this week on a headlining US run, followed by an appearance at Long Island's Mixtape Festival in August and then a European headlining tour that kicks off in September.